AC/DC has reportedly completed work on a new album. The album is now finished. 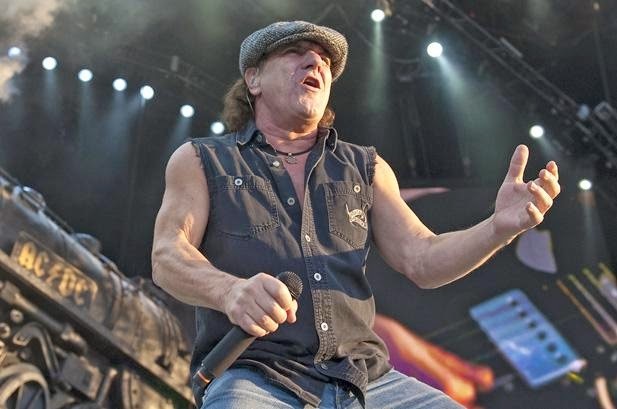 And the band members are apparently happy with the fruits of their labor, front-man Brian Johnson has told Classic Rock magazine. “It was brilliant over there. We’re done. I’m very excited and we've got some great songs,” Johnson comments. The news isn't quite so cheery for Malcolm Young. The band’s founding rhythm guitarist has been hospitalized with the illness that forced him to take a break from the band, and sparked the false rumor that AC/DC would call it quits. AC/DC is Australia’s biggest rock ‘n’ roll export, having sold more than 200 million albums over a career spanning more than four decades. If the last album was anything to go by, AC/DC's new release should receive a warm welcome. “Black Ice” was an international smash, shipping more than 5.3 million units by year's-end en route to topping sales charts in 29 countries -- including the U.S. -- according to Sydney-based Alberts. The subsequent tour in support of the album is recognized as one of the biggest grossing treks in history. When the act returned for the “Black Ice” stadium tour of Australia, roughly 650,000 tickets were snapped up (the country has a population of about 22 million). AC/DC was inducted into the ARIA Hall of Fame in 1988 and into the Rock And Rock Hall Of Fame in 2003. Earlier this year Johnson hinted that AC/DC would play a 40-date tour to commemorate the group's 40th anniversary.